Dr. Lars Müller graduated from RWTH Aachen in 2002 with a degree in chemistry. His studies took him on research trips to the University of York and to DSM Research in Geleen. In 2005 he received a PhD from the University of Paderborn with a thesis in the field of homogenous catalysis. Dr. Lars Müller began his IP career in 2005 at a patent law firm in Düsseldorf. He passed the German patent attorney examination in 2009 and was admitted to practice before the European Union Intellectual Property Office. Since 2011, he has also been on the list of professional representatives before the European Patent Office. Dr. Lars Müller joined the law firm of Michalski Hüttermann & Partner at the end of 2009 and has been a partner since 2013. His main areas of patent law practice are obtaining and enforcing technical protection rights. His technical focus is on energy technology, medical technology, automotive applications and technical and polymer chemistry. Lars is also very active in building material chemistry, material sciences and additive manufacturing processes. Besides technical protection rights, Dr. Lars Müller also works in trademark and design law. Dr. Lars Müller has coauthored several academic publications in the field of chemistry. "No two days are alike because my goal is to create reliable added value based on the widest variety of developments." 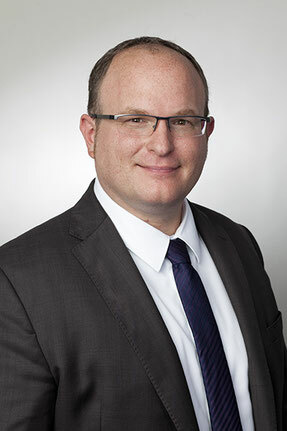 Dr. Müller is a member of the Association of Intellectual Property Experts (VPP) and the International Association for the Protection of Intellectual Property (AIPPI). Lars Müller was born in Cologne in 1975 and now lives in Grevenbroich, Germany with his wife and daughter. He speaks German and English fluently.